Over the last two years, Profound Logic has held a 3 Day User Seminar that is an intense, product-focused learning environment with workshops, labs, and educational sessions. In 2018 we will be holding our next PLUS Conference in beautiful St. Louis Missouri! Internet of Things (or IoT as it is regularly called) is a system of interrelated computing devices, objects, mechanical machines, digital machines, people, or even animals that have a unique identifier connected to them. These interconnected devices & objects can transfer data over a network without requiring human-to-computer or human-to-human interactions. A simple way to put it is that a 'thing' can be a farm animal with a bio-chip that sends location & health information, or it can be a person with a wireless heart monitor, or an automobile with a built-in sensor to alert to mechanical issues or traffic issues. Any natural or man-made object that can be assigned an IP address and be able to transfer data over a network would be considered a 'thing' on the IoT. Practical applications of IoT technology can be used in many industries today including energy, agriculture, transportation, healthcare, building and supply management, and so much more. Profound.js allows you to take advantage of the resources available from IoT and easily integrate those practical applications into your business. As we move into the second month of the new year, we wanted to look at what advancements could be on the horizon for the Internet of Things in 2018. 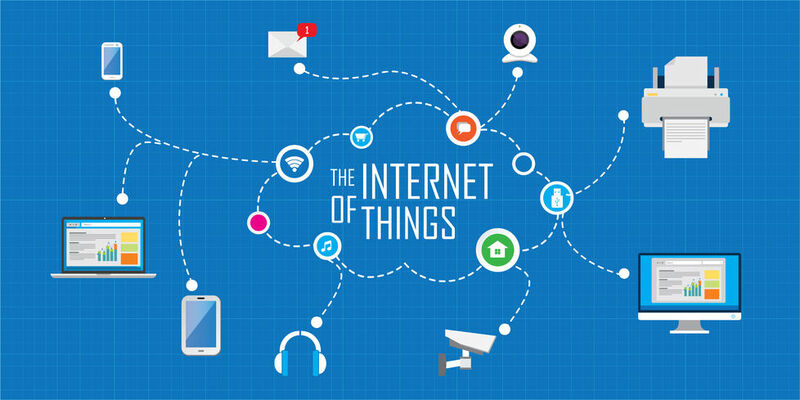 Internet of Things (or IoT as it is regularly called) is a system of interrelated computing devices, objects, mechanical machines, digital machines, people or animals that have a unique identifier connected to them. These interconnected devices & objects have the ability to transfer data over a network without requiring human to computer or human to human interactions. A simple way to put it is a 'thing,' can be a farm animal with a bio chip that sends location & health information, or a person with a wireless heart monitor, or an automobile with a built in sensor to alert to mechanical issues or traffic issues. Any natural or man-made object that can be assigned an IP address and be able to transfer data over a network would be considered a 'thing' on the IoT. The concept of the Internet of Things was named in 1999, but has been around for decades. In fact, the first example of internet appliance was a Coke machine at Carnegie Melon University in the early 1980's. The programmers connected to the machine over the internet and could check the status of the machine and see if a cold drink would be ready for them before they took the trip to the machine. Practical applications of IoT technology can be used in many industries today including: energy, agriculture, transportation, healthcare, building and supply management, and so much more. 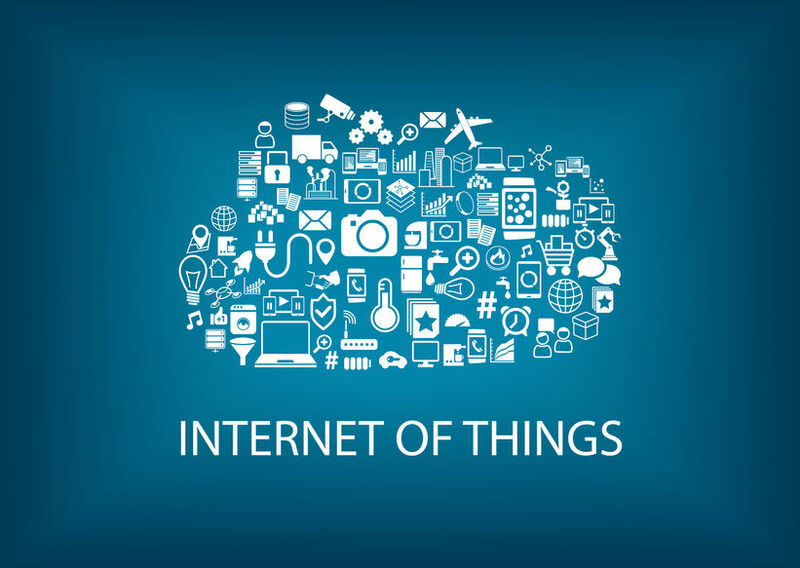 Here are 5 ways you can use IoT practically. The IBM i (previously known as AS/400 or iSeries) is a stable, secure, and modern business platform. 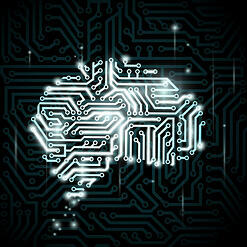 Thousands of companies rely on it on a daily basis to store and access their data. 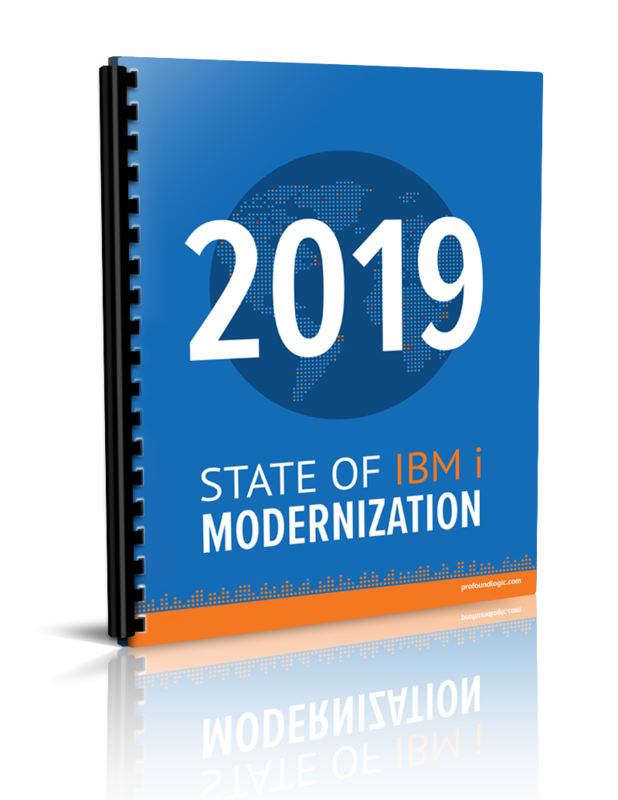 However, many companies are not aware that they can extend the value of their business applications with modern languages and graphical interfaces on IBM i. These business are tired of using green screens and because of this they take on high-risk, high-cost attempts to re-write their applications or migrate off the stable IBM i platform altogether. These re-write/migration attempts cost millions of dollars and can waste years of development efforts. 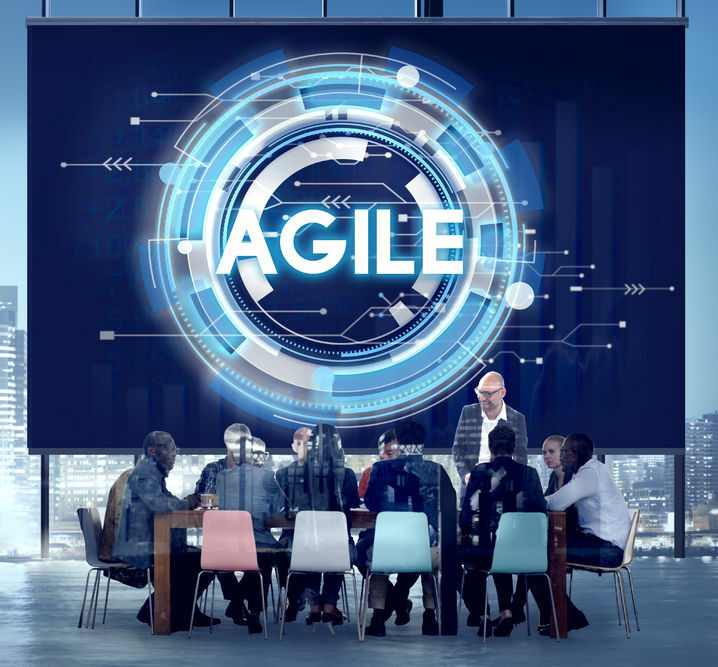 Seeing these issues prompted Profound Logic to develop a completely unique approach called Agile Modernization. What is Agile Modernization? It's a development philosophy that focuses on completing the projects you need now, as opposed to "Big Bang" approaches that try to tackle your entire application infrastructure or monolithic applications at once. There are a few ways you can apply Agile Modernization in your business. The first is by applying the 80/20 rule to your RPG applications - i.e. modernize the screens of the MAIN applications your used by your business. Most businesses on IBM i only use 20% of their business apps 80% of the time. Another way is to update the source code in an accurate, automated way that enables your business to keep operating WHILE applications are deployed in either free-format RPG or Node.js via an easy-to-use, cross-platform development framework. This approach supports integration, open source development, and the addition of Watson or Internet of Things, WHILE remaining on your IBM i and retaining your systems of record. 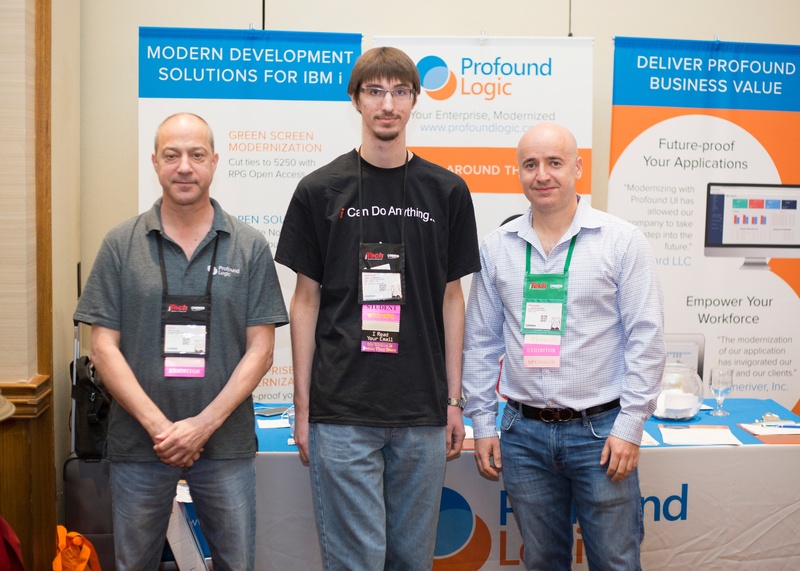 Earlier this month Profound Logic Software, the leader in IBM i application modernization, announced that we had became the newest member of the Node.js Foundation. 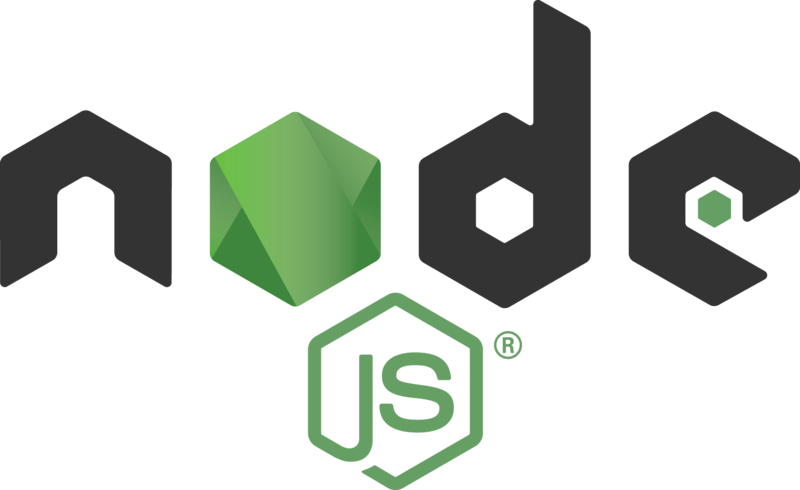 As a member of the Foundation, Profound Logic shows its dedication to the use of Node.js for legacy application modernization and new development in this sector. "To enable widespread adoption and help accelerate development of Node.js and other related modules. We do this through an open governance model that encourages participation and technical contribution, and by providing a framework for long term stewardship by an ecosystem invested in Node.js' success." The future of the IBM i community has been a popular topic for some time now... where will we be in 5, 10, 20 years? Will there be enough new developers to replace the retiring ones? This is why programs that encourage young developers to join the community are vital to the future of the IBM i platform. Programs like Common's Educational Foundation enable students to immerse themselves in the i community. But large organizations like COMMON aren’t the only opportunity to bring new developers into the IBM i fold. Any business can create an internship program and give students hands-on experience that they will take into the professional world and shape the future of the IBM i community. Profound Logic is committed to helping preserve the future of the community by investing in the programmers that will take over in the near future. 2017 has been the year of Open Source for IBM i. Businesses no longer have to use their IBM i the way they did the iSeries or AS/400 of decades past. In addition to modern interfaces and UX capabilities, IBM i developers can now easily enable open source API to add never-before thought of functionality to their enterprise applications. Earlier this month, IBM and COMMON held an eye-opening event in Rochester, MN, the home of IBM i. 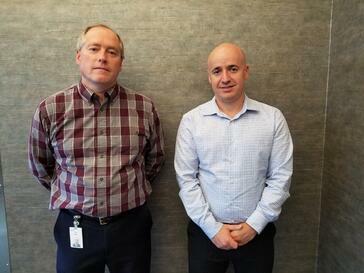 The 2-day event, cleverly named “IBM i Driveway to Watson” introduced IBM customers and business partners to BlueMix Cloud and Watson AI capabilities, all from an IBM i operating system perspective. 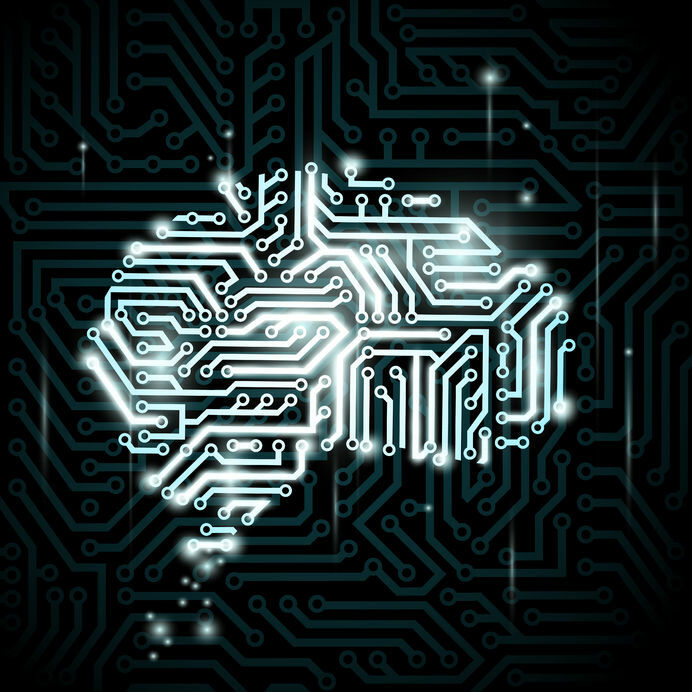 Customers from all over the world were able to see firsthand how IBM i applications can integrate with cloud and artificial intelligence technologies. A variety of topics were covered, including Agile Development, Open Source, Design Thinking, Data Analytics, and Web Services.